UMASH and the U.S. 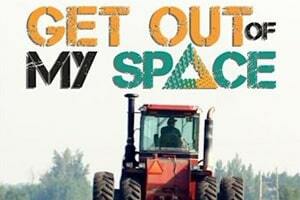 Agricultural Safety and Health Centers partnered with the American Farm Bureau Federation in promoting the 2017 ASAP week theme “Get out of My Space!” urging respect for safety spaces around hazardous farm equipment and tasks. The U.S. Ag Centers prepared a collection of safety resources reflecting the daily themes of Ag Safety Awareness Week and promoted them through social media channels, email campaigns, webinars, and other events. UMASH Co-Director, Jeff Bender, presented a webinar “Why we need to Be Calm around animals: the importance of reminding people to think and slow down.” A second webinar, “When machines meet the road: farm equipment crashed on public highways,” was presented by Marizen Ramirez and Karissa Harland from the Great Plains Center for Agricultural Safety and Health (GPCAH). Marizen recently joined the faculty in the School of Public Health at the University of Minnesota.